Keystone Chevrolet offers the widest selection of used cars, SUVs, sedans and crossovers in Sand Springs, OK. Listed here is our Chevrolet used inventory from which you can select a used vehicle that is perfect for your driving taste and lifestyle while saving of your hard earned money. Keystone Chevrolet, Sand Springs, OK also offers financing of pre-owned certified vehicles at low APRs and flexible terms. You can make the payment of your certified used cars and SUVs through easy and hassle free auto financing with our dealership. At our dealership, all the used Chevrolet cars and SUVs are thoroughly inspected by our manufacturer certified experienced mechanics. As soon as you choose a car from our used inventory, you can schedule a test drive to experience driving your favorite Chevrolet. 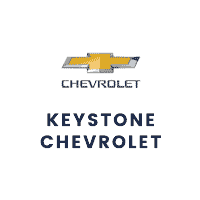 Keystone Chevrolet, Sand Springs, OK is the right dealership for you to get a certified used Chevrolet with inspection certification, specials, incentives and guarantees. Visit our showroom today to get hands on your next pre-owned Chevrolet car!